NIST 800-171 Compliance - Where Do I Start? EU GDPR Compliance - Where Do I Start? When you properly design, build and maintain with security in mind, compliance is a natural byproduct. That goes for both cybersecurity and privacy needs. For a lot of organizations, that is merely lip-service, but at ComplianceForge, we found a way to help operationalize security and privacy controls in an efficient, scalable manner. Our solution is the Digital Security Program (DSP) that leverages the Secure Controls Framework (SCF). This combination allows an organization to have a "full stack" of security and privacy documentation. 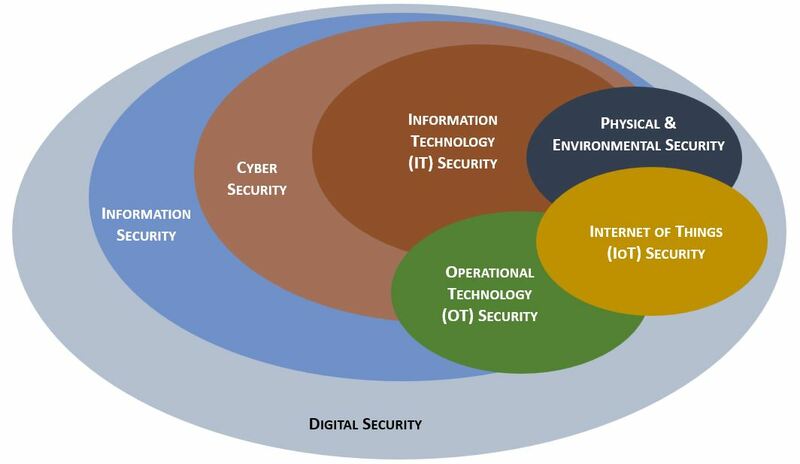 Our solution is designed for "digital security" that is essentially a superset of common cybersecurity requirements. This approach also builds in privacy considerations to allow an organization to ensure that both cybersecurity and privacy principles are addressed by design and by default. With the requirements security and privacy to be "baked in" to comply with EU GDPR and other statutory and regulatory obligations, this is a topic that is here to stay. The problem for most organizations is figuring out the most efficient and cost-effective way to accomplish it. The SCF is designed to empower organizations to design, implement and manage both cybersecurity and privacy principles to address strategic, operational and tactical guidance. It is far more than building for compliance - we know that if you build-in security and privacy principles, complying with statutory, regulatory and contractual obligations will come naturally. Controls are often a missing piece in a company's cybersecurity program or controls exist in "compliance islands" where the controls are only applicable to certain compliance requirements, such as SOX, PCI DSS or NIST 800-171. That might be easy from a compliance perspective, but it is not good security. The SCF is designed to help companies be both secure and compliant. 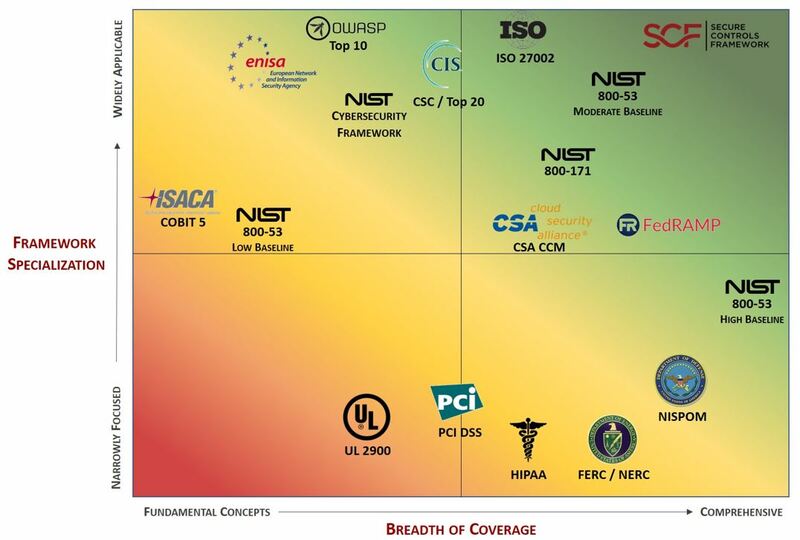 If you are not familiar with the SCF, it was developed with the ambitious goal of providing a comprehensive catalog of cybersecurity and privacy control guidance to cover the strategic, operational and tactical needs of organizations, regardless of its size, industry or country of origin. ComplianceForge is proud to be one of the founding supporters of the SCF. By using the SCF, your IT, cybersecurity, legal and project teams can speak the same language about controls and requirement expectations! The Secure Controls Framework (SCF) is an open source project that provides free cybersecurity and privacy controls for business. 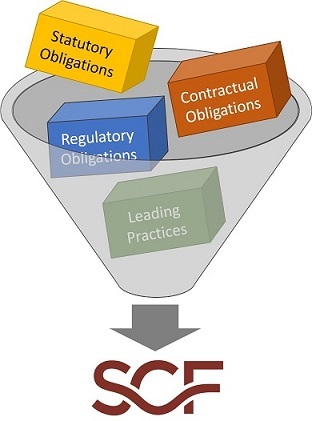 The SCF focuses on internal controls, which are the cybersecurity and privacy-related policies, standards, procedures and other processes that are designed to provide reasonable assurance that business objectives will be achieved and undesired events will be prevented, detected and corrected. It is important to understand that controls exist to protect an organization’s data. 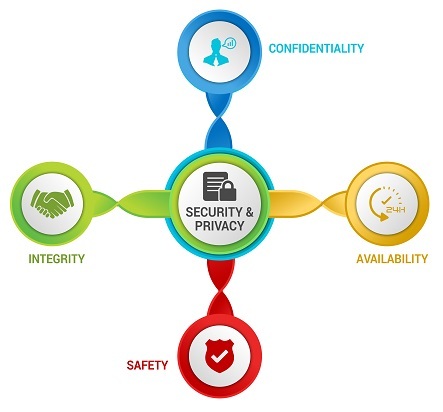 In support of this concept of being data-centric, look at the example of asset management requirements in terms of cybersecurity and privacy – those administrative, technical and physical security controls do not primarily exist to protect the inherent value of the asset, but the data it contains, because assets are merely data containers. Assets, such as laptops, servers and network infrastructure are commodities that can be easily replaced, but the data cannot. This mindset of being data-centric is crucial to understand when developing, implementing and governing a cybersecurity and privacy program. While most organizations do not have a Data Centric Architecture (DCA), based on technical debt and legacy processes, it is possible to implement Data Centric Security (DCS) that can put the organization on a path to building a DCA. This all comes down to designing, implementing and managing the appropriate cybersecurity and privacy controls that govern people, processes and technology. This is where the DSP and SCF can be invaluable. Contractual Obligations - These are requirements that are stipulated in contracts, vendor agreements, etc. Industry-Recognized Leading Practices - These are requirements that are based on an organization’s specific industry. For years, the "CIA Triad" defined the pillars of cybersecurity. Things have changed and it is now the "CIAS Quadrant" that governs the reasons for implementing cybersecurity and privacy controls. These four pillars are Confidentiality, Integrity, Availability and Safety. 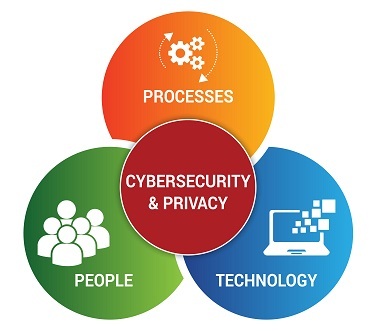 The DSP & SCF can help you implement these four principles of cybersecurity and privacy in your organization! CONFIDENTIALITY - Confidentiality addresses preserving restrictions on information access and disclosure so that access is limited to only authorized users and services. INTEGRITY - Integrity addresses the concern that sensitive data has not been modified or deleted in an unauthorized and undetected manner. AVAILABILITY - Availability addresses ensuring timely and reliable access to and use of information. SAFETY - Safety addresses reducing risk associated with embedded technologies that could fail or be manipulated by nefarious actors. Need Control Activities For Your Controls? 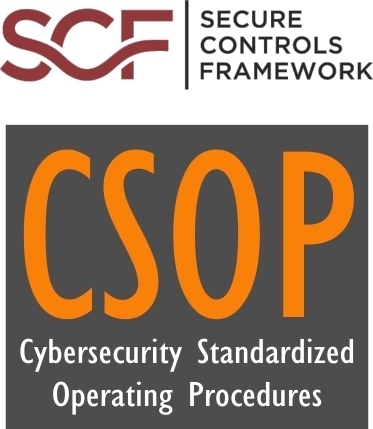 ComplianceForge offers a version of our Cybersecurity Standardized Operating Procedures (CSOP) that provides control activities (e.g., procedure statements) that have a 1-1 mapping with the DSP & SCF. This is a potential time savings of hundreds of hours of work, not having to reinvent the wheel by writing your own procedures to address SCF controls. 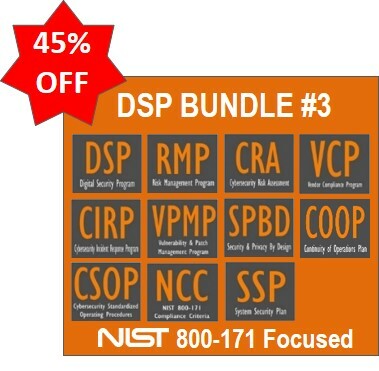 Operationalize The SCF & Save Up To 45% With A Bundle! 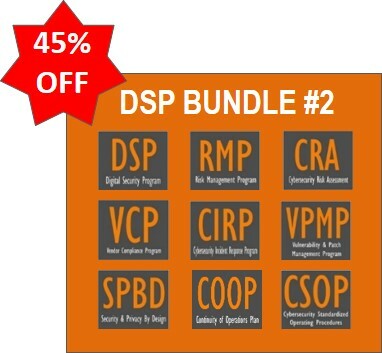 We have a few discounted bundles specifically tailored for clients who want to operationalize the SCF, but we can always make a custom package for you. Just give us a call or email us at support@complianceforge.com to request a custom package. Similar to NIST 800-171 Bundle #4, but contains NIST 800-171 specific documentation. 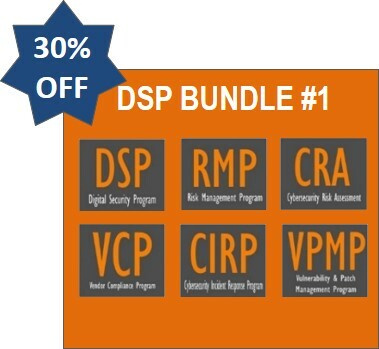 This is our most popular DSP bundle for companies that have to address both NIST 800-171 and the EU General Data Protection Requirement (GDPR). The Secure Controls Framework (SCF) is a free download. This is the latest version of the SCF, which is a robust set of cybersecurity and privacy controls that link to over 100 leading practices! Our customer service is here to help you get answers quickly! Find out the importance of these documents for your business. Read exclusive information about cybersecurity from Compliance Forge. © Compliance Forge, LLC (ComplianceForge). All Rights Reserved. This website does not render professional services advice and is not a substitute for dedicated professional services. If you have compliance questions, you should consult a cybersecurity or privacy professional to discuss your specific needs. Compliance Forge, LLC (ComplianceForge) disclaims any liability whatsoever for any documentation, information, or other material which is or may become a part of the website. ComplianceForge does not warrant or guarantee that the information will not be offensive to any user. User is hereby put on notice that by accessing and using the website, user assumes the risk that the information and documentation contained in the web site may be offensive and/or may not meet the needs and requirements of the user. The entire risk as to the use of this website is assumed by the user. ComplianceForge reserves the right to refuse service, in accordance with applicable statutory and regulatory parameters.